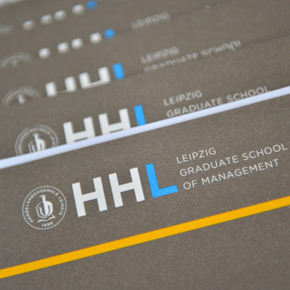 HHL is considered one of the leading business schools. The excellence of its programs (M.Sc., MBA, EMBA) has been proven by several rankings, in which the school is frequently ranked among the best. “We educate effective, responsible and entrepreneurial business leaders through outstanding teaching, research and practice. We are driven by excellence in teaching and research to benefit our students, stakeholders, and society. 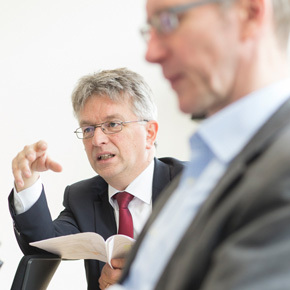 Our academic quality is underscored by our global outlook and a lifelong premier service and support network.” Yesterday HHL was the Birthplace of Management Education HHL Leipzig Graduate School of Management, founded in 1898 as Germany’s first business school, was the birthplace of modern management education. From its inception, HHL has been committed to rigorous management instruction and research, and quickly developed an international reputation. After the peaceful East German revolution of 1989, which started in the streets of Leipzig, HHL rediscovered the entrepreneurial spirit of its founding days and was restructured as a high-performing private business school – again with full university status. 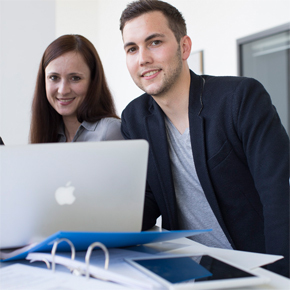 Today HHL among Germany’s top Business Schools The philosophy behind all our programs is to focus on the student by offering close student-faculty interaction, in-depth business and academic experience, and at the same time developing the students’ leadership potential and networking skills. Tomorrow HHL among the top European Business Schools We continue to build on our highly successful model and reputation for excellence. We update our curriculum according to the needs of global employment markets to further internationalize our expertise and keep HHL at the forefront of business education and professional training. We invite you to become part of HHL’s promising future. Leipzig is one of the most dynamic and vibrant cities in Europe. The Guardian recently described Leipzig as „Germany’s boom-town” and the German newspaper Die Welt confirmed it, calling Leipzig “the city overtaking the rest of the Republic”. Located at the crossroads of the historic European trade routes, Leipzig prides itself on its 1,000-year tradition of commercial vitality and on its reputation as a meeting place for science and arts. Beyond its modern infrastructure, what stands out about Germany's fastest growing city is the rapidly expanding economy with its world-famous brands such as Porsche, BMW, DHL, and Amazon. Leipzig is located in the heart of Europe and well-connected by road, rail, and air. Berlin, the capital of Germany, is only an hour-long train ride away and the financial capital Frankfurt can be reached within three hours. Major European cities like London, Paris or Prague are also in close proximity. Campus According to the one-campus-concept, all HHL buildings, the HHL library, the sports facilities and a canteen are located in one spot. Some of the student dorms are also located nearby, as are many other cafés and bars. The campus is surrounded by the green banks of the river Weiße Elster and attractive parkland. It takes about five minutes to downtown thanks to the public transport station directly in front of HHL.